We wholly believe that through higher education Carleton University contributes to the greater good. When we look back at our first 75 years, and forward to our next 75, we know that our philanthropic promise is to be Here for Good. Collaborate: The Carleton University Campaign is a campaign to raise $300 million for our students, faculty and researchers, so that we can contribute more to the good of society, its economy and institutions, and the health and wellbeing of citizens around the world. It’s the most ambitious fundraising effort in Carleton’s history. When our Community works together, we have a profound impact. Our community of staff, faculty and retirees is an immensely generous group. 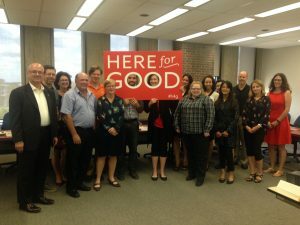 Currently, over 24% of Carleton employees have proactively supported our campaign, contributing to the academic programming, research endeavours, community engagement and unique student experiences that happen every day here, and have an impact around the world. We hope you will join us! The success of our campaign is in large part due to the volunteers who dedicate their time and talent. They continue to spread the word, raise awareness and maintain momentum. Without them, we could not hope to succeed in achieving this visionary work. Our volunteers: a great collaboration! Volunteers: Rebecca Bartlett, Marlene Brancato, Payal Chadha, Erin Chezick, Linda Cruz, Maria DeRosa, Elizabeth DiSabato, Melanie Dow, Pamela Griffin-Hody, Catherine Kitts, Sylvie Lafortune, Gilles Leblanc, Claire Lewis, Caitlin MacGregor, Mark MacLeod, Kevin Mann, Maria McClintock, Robin McLaughlin, Gilles Monast, Melany Morrison, Andrew Pullin, David Sharp, Laura Storey, Marie Tudoret, Paul Van Geel, Norah Vollmer and Cody Wise. Your gifts directly fund the kinds of experiences that inspire Carleton students to drive change and help us deliver on our promise to be Here for Good. Please consider making a stretch gift through monthly payroll deduction, an easy way to make a commitment and budget your giving over the next three years. Almost every member of our Carleton community, at some point, turns to the MacOdrum Library for support. It offers the spaces, expertise and resources our campus community needs to excel. The library, in turn, depends on its community of donors to keep subscriptions current, collections competitive, and acquisitions relevant. Which is why one of our campaign priorities is to build the MacOdrum Library Collections Fund. Please consider making the Collections Fund the beneficiary of your gift, or learn more about the Campus Community Campaign Bursary that helps students in financial need, or find another project that inspires you, and make your gift today. 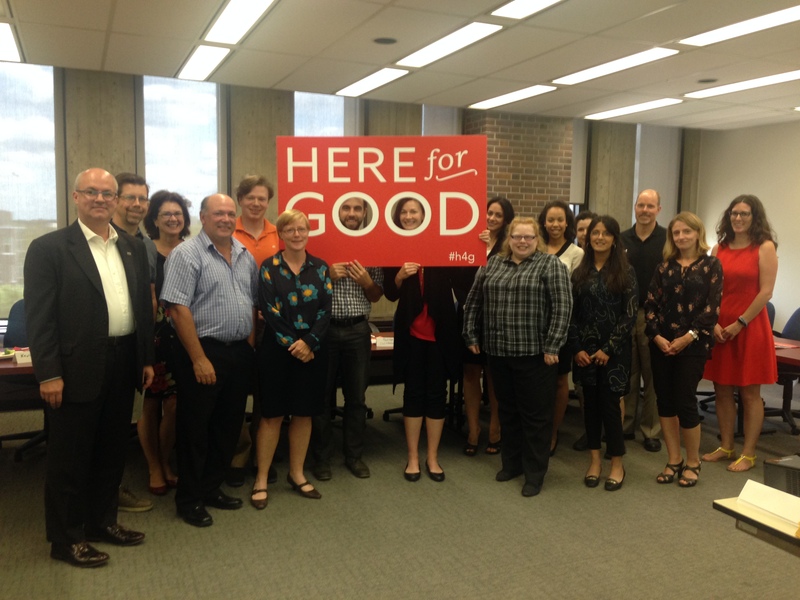 If you share our conviction that there is much good to be done, we hope you will support Collaborate: The Carleton University Campaign.